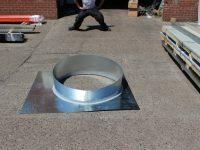 From our operational base in the East Midlands, we produce roof soakers and cravats to your exact specifications and then deliver direct to sites in Birmingham, Leicester, Derby, London and beyond. 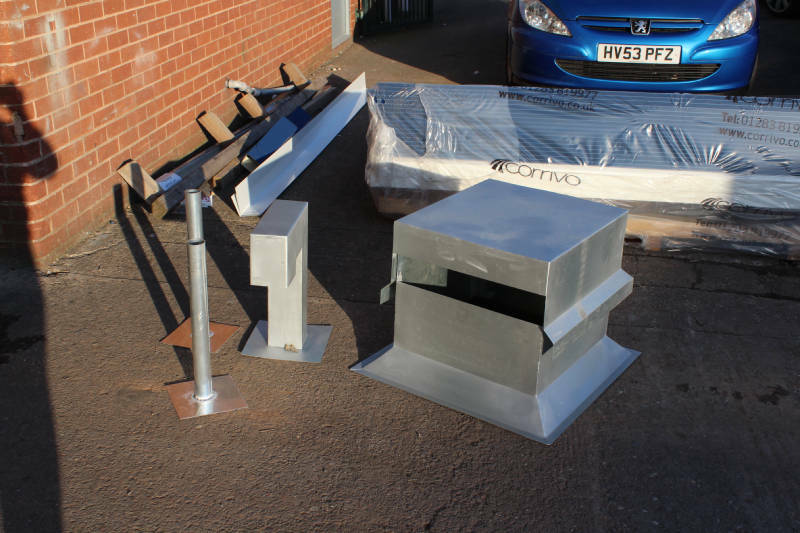 Corrivo manufacture steel and aluminium soakers to the customer’s required designs, no matter the shape or size. 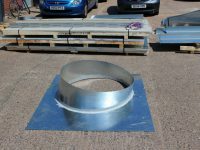 The soakers can be produced from thin material such as Plastisol, that are primarily designed to keep the weather out but are not usually structural items. 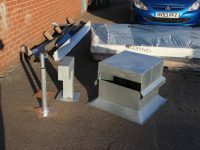 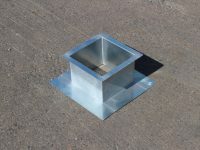 Aluminium can also be used as this may be factory welded and colour coated to match the roof sheets, if required. 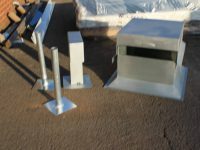 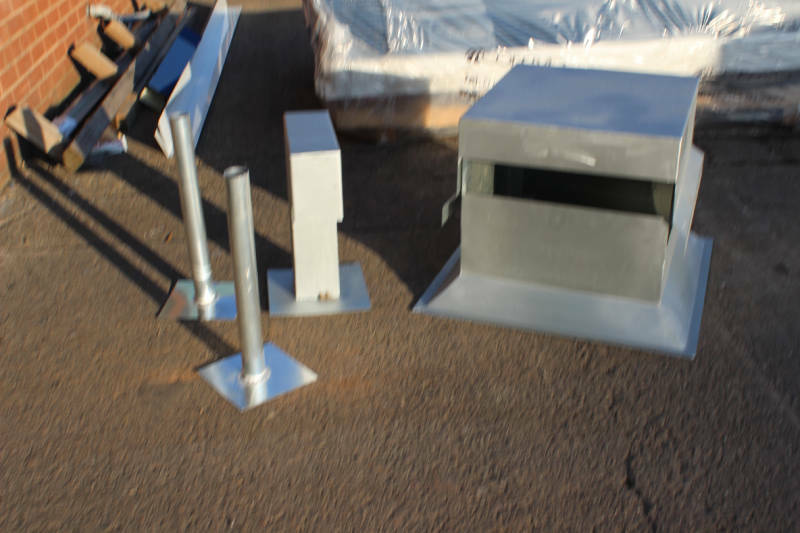 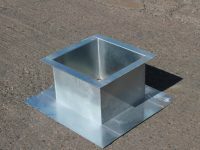 Where maximum strength is needed, for example to support a heavy roof ventilation unit, steel is usually selected. 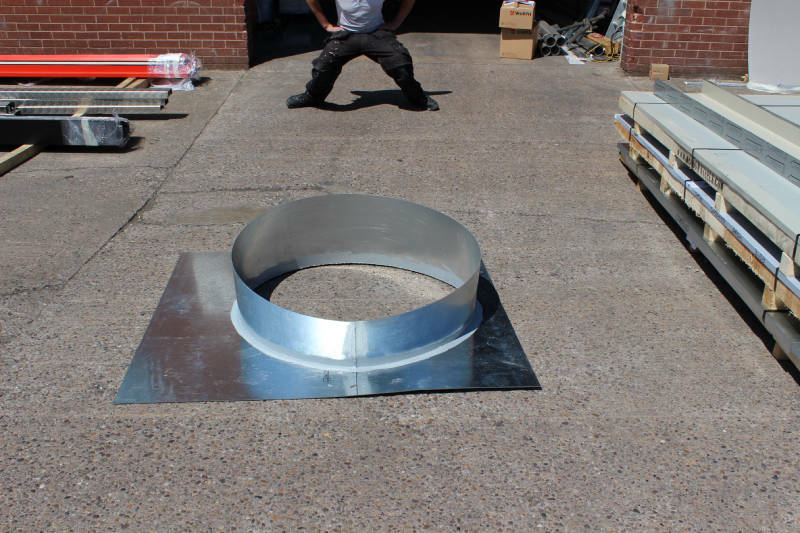 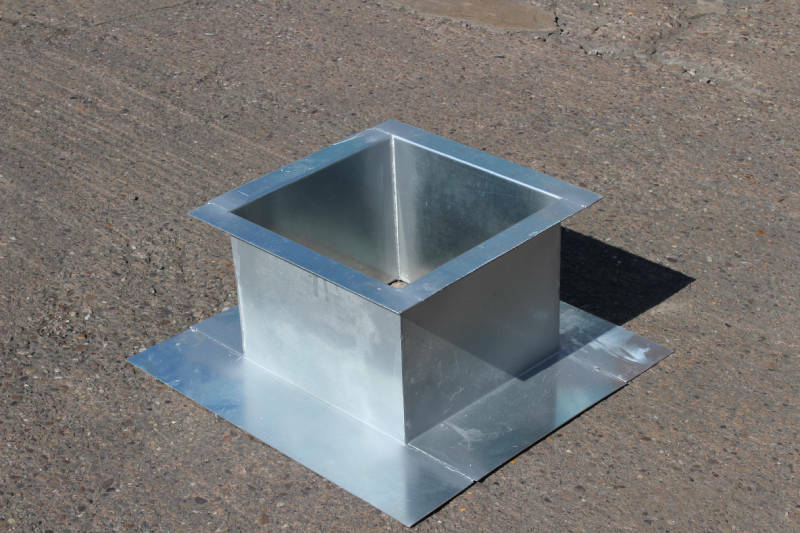 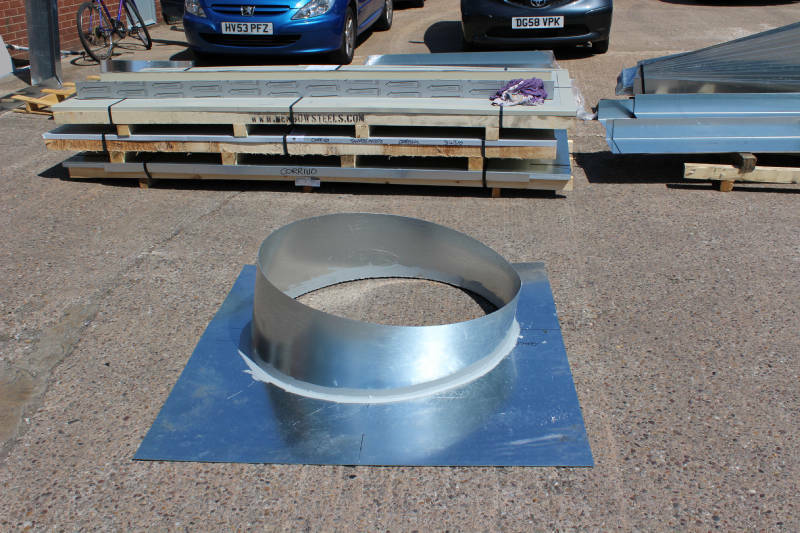 These units can be round, square or an irregular shape and can be designed to suit flat or pitched roofs. 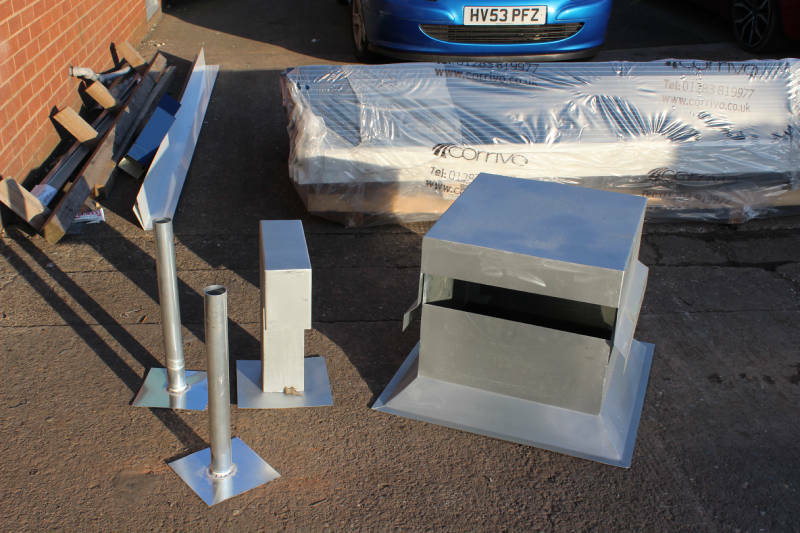 The skill and knowledge of our team, combined with the latest machinery, means we produce high quality, reliable roofing materials for all your needs. 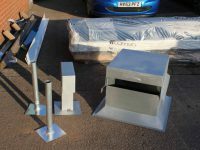 Simply get in touch today if you require more information, a detailed quote or to discuss specific metal fabrication requirements.